Foam board is used for a variety of purposes. Not only is it a safe and simple way to protect art – it is also great for photographs, prints, and even comic books and newspaper. 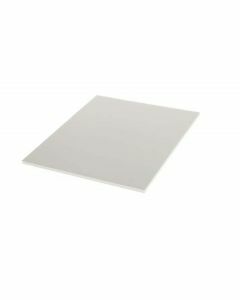 We provide wholesale Bainbridge brand foam boards – a leader in the foam board industry – and are happy to help you find the sizes that will meet your needs. Contact us today, or check out our expansive inventory below. Mount photos or create an instant art gallery with Bainbridge Clay Coated Foam Board. Our FOMC18 board is 18" x 24" and is dual-sided in bright white. This 3/16" board made of foam core is lightweight yet sturdy enough to resist dents. The clay coated surface is extra smooth and cuts cleaner than any type of foam board. Great for DIY projects!